What inspires me? My article in the summer 2017 edition of Belle Armoire Jewelry Magazine answers that question. Natural and handmade beads and materials that have been used in ethnic African jewelry for centuries, the places I imagine with all the colors, sounds and aromas that make them unique, all of these things are part of my thought process when I am designing jewelry pieces. Think of it as though I were telling you a story about a city in Kenya, and I want you to envision not only the characters but their surroundings in detail. That is what I try to do with each compostion, make a piece of jewelry that tells you a story. 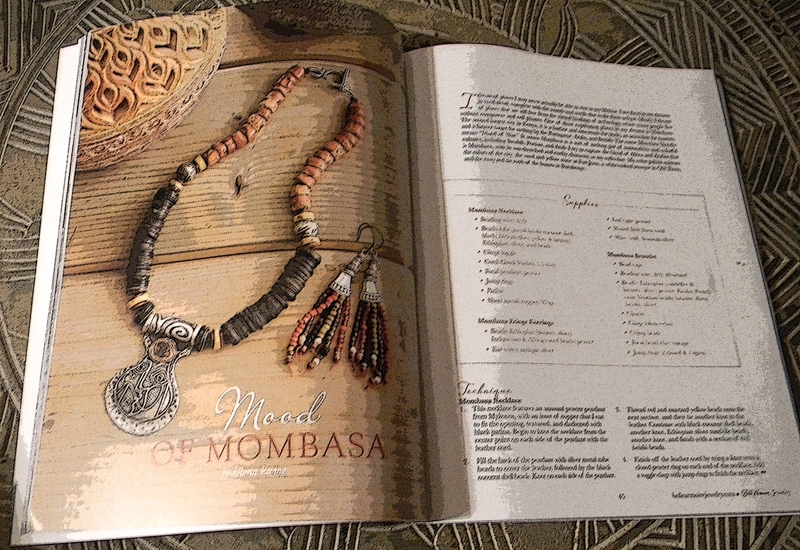 Absorb the "Mood of Mombasa" in tribal beaded jewelry that tells a story.